Everbuild Clear Fix is a clear hybrid polymer grab adhesive that has the ability to bond just about everything in both interior and exterior applications. With added UV stabilisers to ensure the product doesn't yellow over time, Clear Fix is the ideal choice for applications where the colour of the product may be seen. 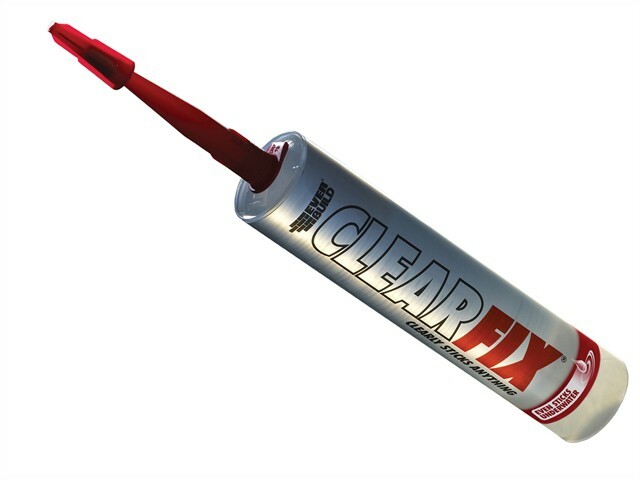 Clear Fix is a versatile product which can be used in almost every application - even when immersed under water! It is quick curing, resistant to temperature extremes, over-paintable and totally water and weatherproof.